Integrity, trust, and strong relationships are values that define most Midwest families. Add in a high level of customer service and those are the core principals of the Valor Mechanical family. As we invite extended family and friends into our homes this holiday season, staying on top of your home comfort system’s maintenance is our top priority. 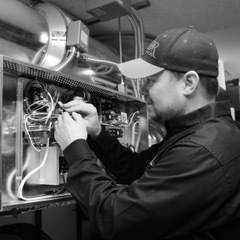 We don’t just install; we fix, maintain, and inspect too. Our VIP Preventative Maintenance program was created with your and our families in mind. Preventative Maintenance is the routine cleaning, lubrication, and inspection of your home’s plumbing, air conditioning, and heating systems – all completed to keep your equipment operating smoothly. As we wrap up 2018, make a resolution to have peace of mind in 2019, by partnering with a family-owned local business. Ready to discuss a maintenance plan? Give us a call, send us an email, or stop in and say hi – the coffee’s always on!